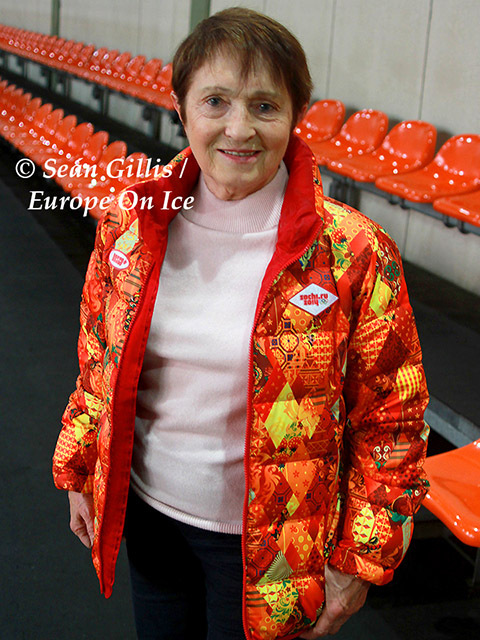 Moskvina herself seemed genuinely thrilled to be with her students again in the thick of a sport that she has devoted most of her 73 years of life to first as a skater and then as a coach. “I am really happy because this is their first competition after a long, long interval when he was injured and that he has now made a healthy recovery,” she confided. 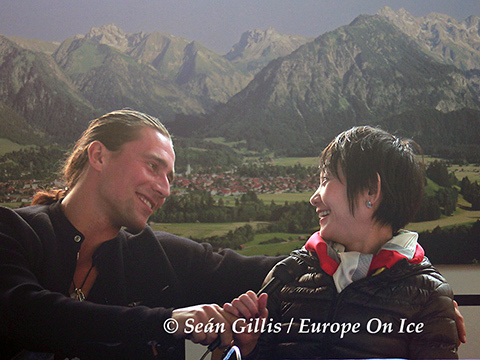 In the year that Kavaguti and Smirnov were absent from competition much has changed in the world of pairs. Olympic champions Tatiana Volosozhar and Maxim Trankov are sitting out the Grand Prix series due to injury and most of the top pairs internationally have broken up or retired and new partnerships have been formed. The Nebelhorn Trophy was an opportunity to remind everyone that the Saint Petersburg pair was returning for one more season. Speaking after the free skating where Kavaguti and Smirnov secured gold with many in the Eissportzentrum giving their “Manfred Symphony” programme a standing ovation, their coach declared herself more or less satisfied with how things had gone. The Russians last skated at the 2013 World Championships and, when asked whether they had any jitters about coming back after such an extended period out of competition, Moskvina felt it was more a case of not being match fit rather than any anxiety. While their short to Massenet’s “Meditation from Thais” that Kavaguti and Smirnov are skating this season was their second choice for the Olympics, one of their main motivations for continuing their career was to be able to perform their “Manfred Symphony” free in competition as they had poured their hearts and souls into the routine. Moskvina concurred with her student’s high estimation of the free and believes that it will be a programme that people will remember in years to come. “If they will combine all the elements and all the requirements of the rules and present such a programme, I expect a standing ovation,” Moskvina declared. There is a tinge of sadness that the couple were not able to show these programmes off last season, especially with the Olympics being in Russia and the World Championships in Kavaguti’s homeland of Japan. While Moskvina expresses some regret about her charges not being able to compete in Sochi, she believes there is no purpose in looking back now as what is done is done. Moskvina has not set any specific medal or title expectations for her team this season in what may potentially be their last one. And what are the goals of the pair and their coach for the coming season?